1 Bedroom Maisonette For Sale in Woking for Offers in excess of £200,000. This bright and spacious apartment offers a high standard of living in a very central location. 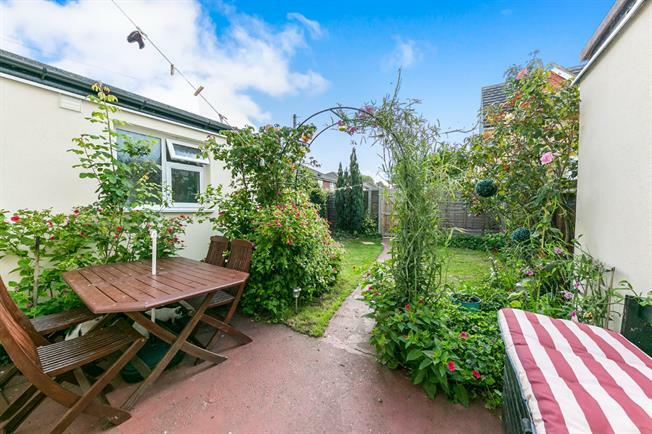 Accessed from the rear of the property, enter through the gate into a charming, quiet and well maintained garden boasting shed storage and a private terrace. The entrance to the property brings you into the modern kitchen, off which is the double bedroom featuring built in wardrobes, and the spacious 17' living area. Through the bedroom is a smart en suite shower room, and the whole apartment is flooded with natural light through the large windows in every room. On street permit parking is always available, and with such a perfect location within minutes walk of Woking town centre, we expect the property to be popular. Call now to arrange a viewing.